Last edited by Corpse on Sun Apr 14, 2019 6:44 pm, edited 1 time in total. So how much did DC23 do in 3 days? *Modern = Post-Previews/Early Showings Era. Probably right around ¥1.7 billion ($15.2 million) on 1.3 million+ admissions. Is there a particular reason why Conan has grown so much these past few years? Specifically, there was a sudden and huge increase from 2015's film to 2016's. I would say that it began with the 2014 release, the eighteenth film in the franchise. It's the one that first broke away from the typical openings/totals seen in the franchise for so long, and since then, every new film has increased. I don't know of any specific reason why the franchise has grown so steadily, and its numbers since 2016 are blockbuster level and approaching uber-blockbuster status now. It's remarkable that an annual franchise has become so huge on a yearly basis now. I know the quality of the films were supposed to have increased some years back, they've been nominated for the Japan Academy Prize in recent years, so that probably has something to do with it. And the weekly TV ratings for the anime have remained consistently strong, even seeing an uptick here or there each week, when nearly all TV shows have seen slight declines due to streaming and such. The actual for Detective Conan: The Fist of Blue Sapphire has been released, and it went up over the estimates. I'll post it soon. Weekend Actual: ¥1,463,827,700 ($13.1 million) / 1,144,539 Admissions. 3-Day Total: ¥1,886,292,700 ($16.9 million) / 1,458,263 Admissions. What an incredible opening! Now I'm interested to see where it lands multiplier wise compared to the past films. Not really. Imported films have largely always opened on Friday, so you can make some comparisons there, but Japanese films only began opening more frequently on Fridays as early as just last year. >Detective Conan: The Fist of Blue Sapphire, the twenty-third film in the long-running franchise, set the box-office ablaze in its debut weekend. It sold a truly staggering 1,144,539 admissions over the weekend frame across 403 screens, and reached 1,458,263 since opening on Friday! The film set a new April Opening Weekend Record, as well as a new Franchise Opening Weekend Record. Among those new records, it also achieved the second biggest opening weekend in the past eleven years, along with becoming the third biggest animated film opener and Japanese film opener. The growth that this annual franchise has reached is beyond remarkable, and it's just dominating the Japanese box-office. Unless the franchise begins to decline over the years, it's going to remain a contender for the #1 spot at the box-office every year if it remains on this scale (last year's film would have been #1 if not for Bohemian Rhapsody breaking out). It's a bit too early to say where the film may finish, but with the standard legs of the franchise, it'll reach a total around ¥8 billion ($70 million+). However, the franchise has also begun to develop stronger legs along with its stronger openings, so it could very well reach ¥9/10 billion ($80-90 million). The growth that this annual franchise has reached is beyond remarkable, and it's just dominating the Japanese box-office. Unless the franchise begins to decline over the years, it's going to remain a contender for the #1 spot at the box-office every year if it remains on this scale (last year's film would have been #1 if not for Bohemian Rhapsody breaking out). Wouldn't Code Blue still have been #1 without Bohemian Rhapsody? Th (last year's film would have been #1 if not for Bohemian Rhapsody breaking out). 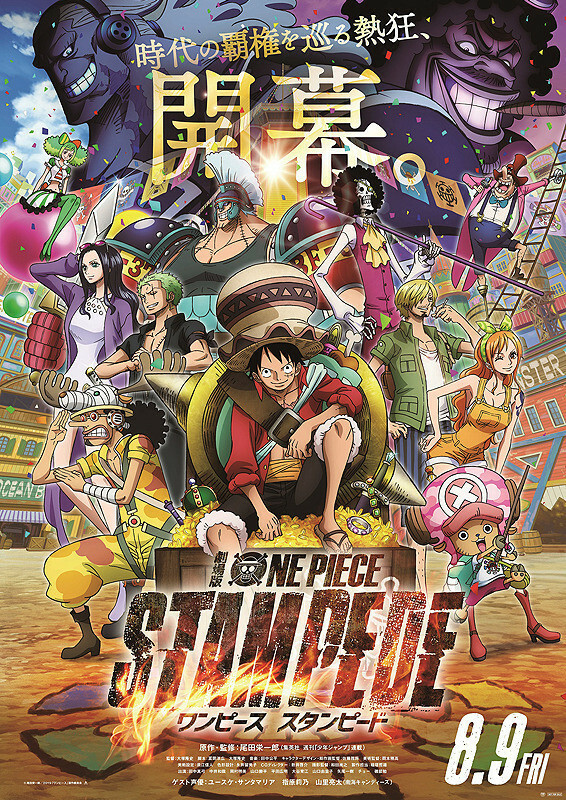 It's a bit too early to say where the film may finish, but with the standard legs of the franchise, it'll reach a total around ¥8 billion ($70 million+). However, the franchise has also begun to develop stronger legs along with its stronger openings, so it could very well reach ¥9/10 billion ($80-90 million). Corpse you have an actual wkd number for BoRhap? Bohemian Rhapsody is back in the top 10 today! Looking to be 8th with a 10% increase, compared to 20-40% drops for all else. Hey Corpse in your 10 years or so observing the Japanese box office do you recall any movie that had the worst second weekend drop ever in the top 10 movies during the weekend box office?